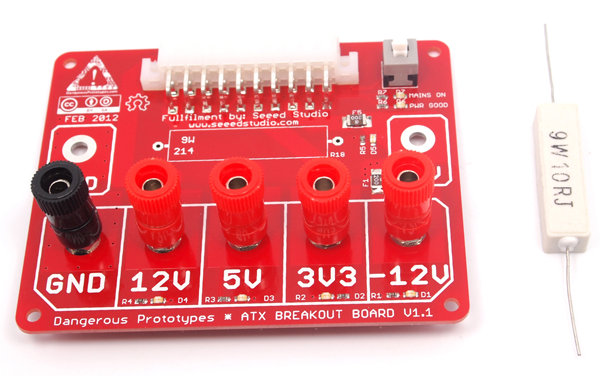 The ATX breakout board bench power supply is back in stock at Seeed Studio. This board recycles an old computer PSU into a handy bench tool with 3.3/5/12/-12 volt supplies. You can also get a Sick of Beige case for your ATX breakout board for $4 at Seeed. This entry was posted on Tuesday, April 9th, 2013 at 9:00 pm	and is filed under ATX BB. You can follow any responses to this entry through the RSS 2.0 feed. You can skip to the end and leave a response. Pinging is currently not allowed. And you have a supply for Raspberry Pi, Beaglebone etc. Heck, you can even bypass the on-board 3.3V regulators and feed them directly. I’m wondering why you guys couldn’t start to fulfill these yourself. Great products, all seem to be well accepted. The LONG shipping from China really puts a bit of a damper on the deal. My Arduino stepper motor work will now be on hold for 2 weeks or more while an 6 oz package wanders around the globe in red tape… sigh. To bad, the amp output on this is too low for my part, i need at least 5 amper.